The need for basic transport infrastructure cannot be emphasized more when we see photos or reports on makeshift bridges and very rough roads that many people use for travel between their homes and the places where they work, attend school or to go to markets to sell or purchase items like food. Many people living in rural areas continue to be in poverty because they lack the infrastructure required for them to be productive. Nevermind that most wealth and productivity is in urban areas. Are we encouraging people who don’t have to be in cities to flock to the cities? And who will be left in the farms? To fish? To produce the food that is so vital for everyone? This is actually a delicate system that hangs in the balance if we cannot support rural development as well as we have urban development. 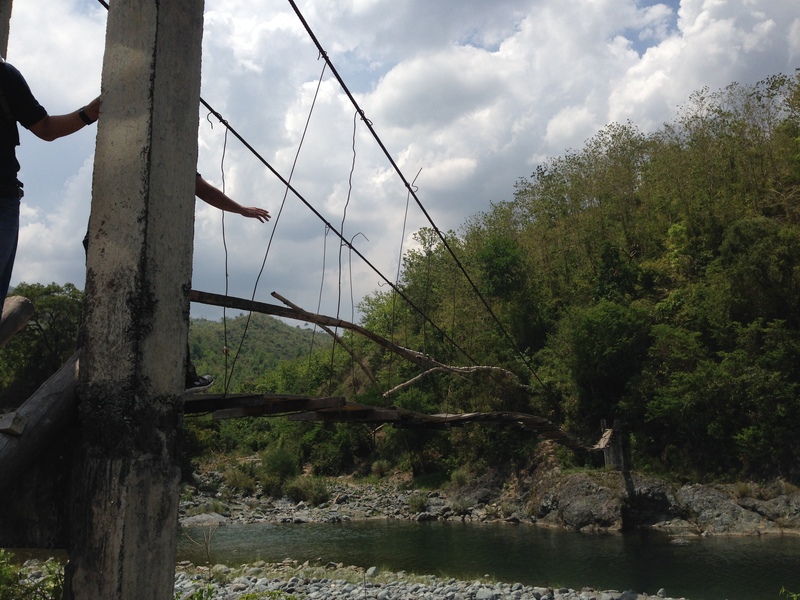 A hanging bridge in Tarlac is basically the only way for people to travel across this river, which swells during the wet season. The span is suspended from two columns at either ends of the bridge where there are makeshift stairs for people to climb unto and off the bridge. 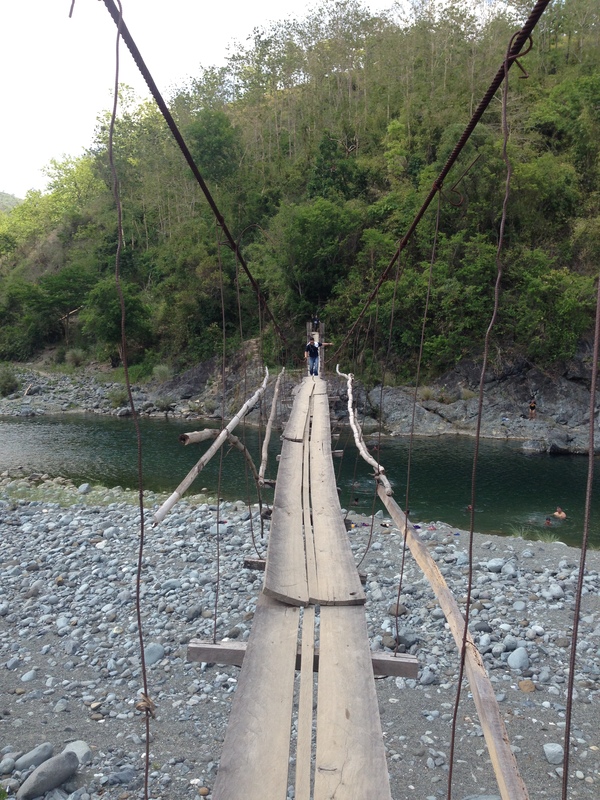 Another view, this time from one end of the hanging bridge shows a crude structure made out of steel cable, reinforcing bars and whatever wood they could use as planks and hand rails. It looks flimsy but they make do with it out of need. We learned that in times when the bridge was destroyed by typhoons, they would rebuild it with little help from the government. The term “buwis buhay” comes to mind every time I look at these photos and others I have taken of rural roads in Tarlac and other parts of the country. People, especially children and those working hard to care for their families, should not have to risk lives or limbs just so they could go to work or school. Farmers and fishermen should be provided efficient access to markets so as to encourage them to continue in their contribution to food production. And perhaps we should think twice about building expensive white elephants for vainglorious attempts at mega structures especially when we still have a lot to accomplish in basic transport infrastructure. By d0ctrine in Bridges, Infrastructure on February 22, 2015 .